Using distress markers I made this card. 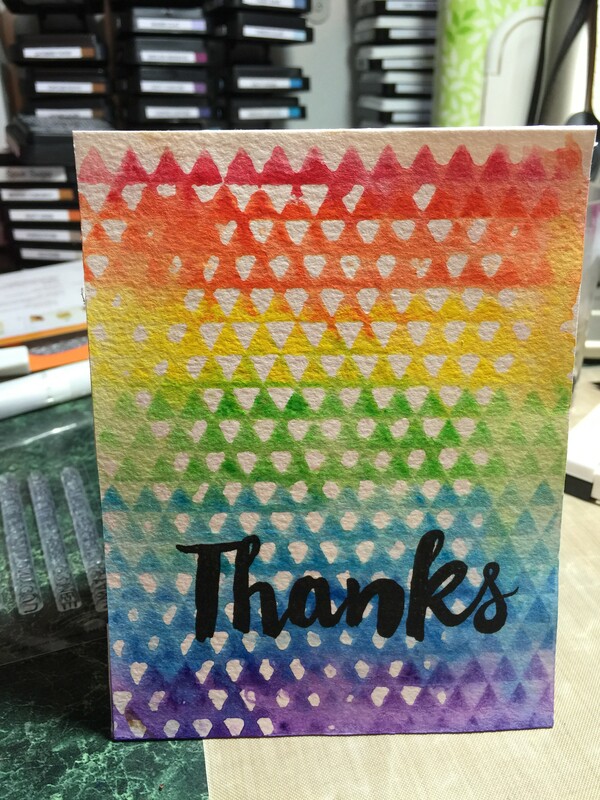 Really liked what it turned out to look like. 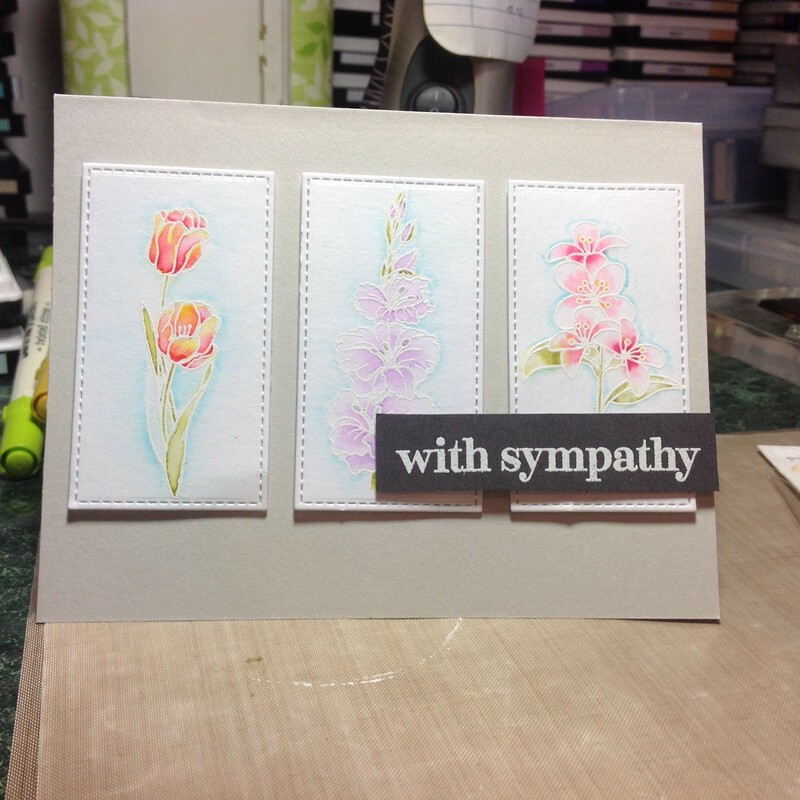 I used Canson Cold Press 140 lb watercolor paper and the Penny Black Dahlias Stamp set. 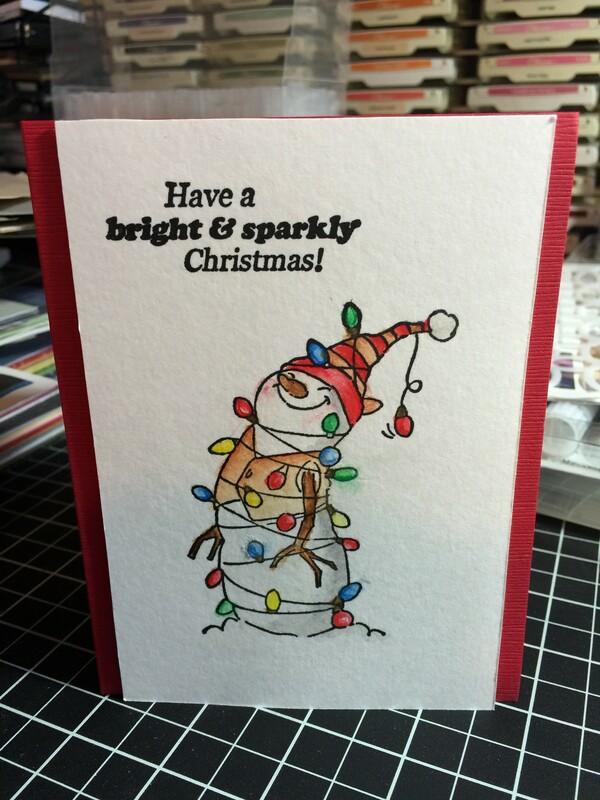 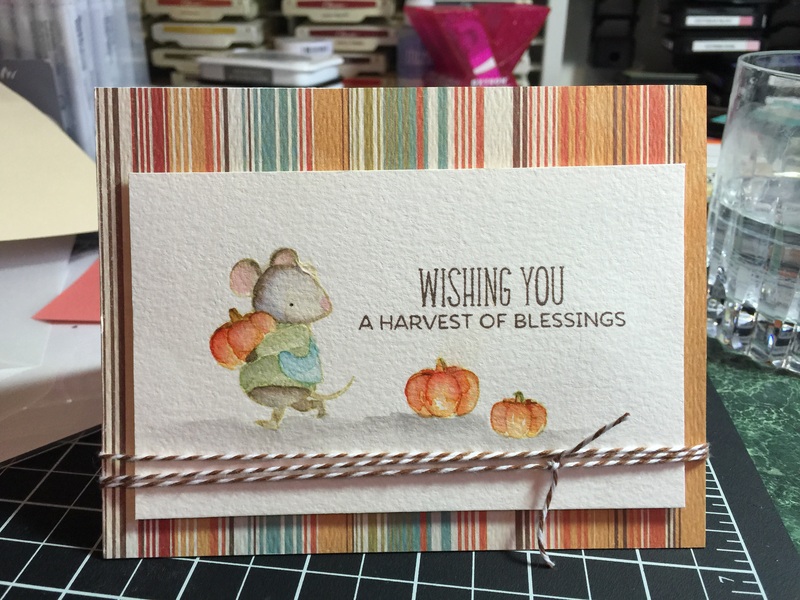 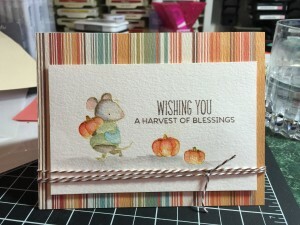 I stamped the stamp with Versafine and Hero Arts Embossing Powder with Ultra fine White Embossing Powder. After heat setting the paper, I used distress markers of worn lipstick, mowed lawn, shabby shutters and spun sugar. 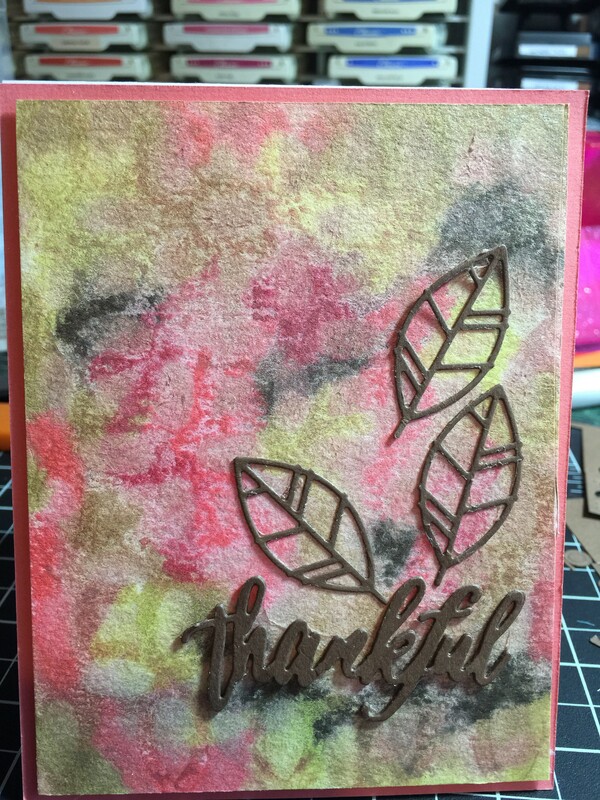 I decided to back the card to pink bazzill card stock and to use the SSS diagonal stripes background with versafine and the Hero Arts Embossing Powder of Ultrafine White to get a background. 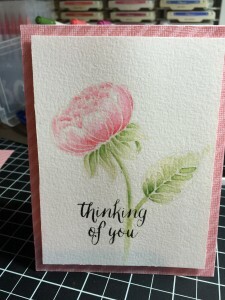 Used the SSS summer garden stamp set for the Thinking of You. 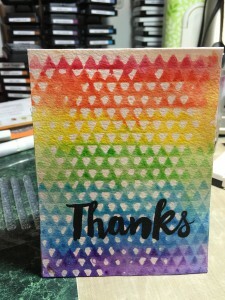 Such a sweet person at work just lost her father, made this card for her. 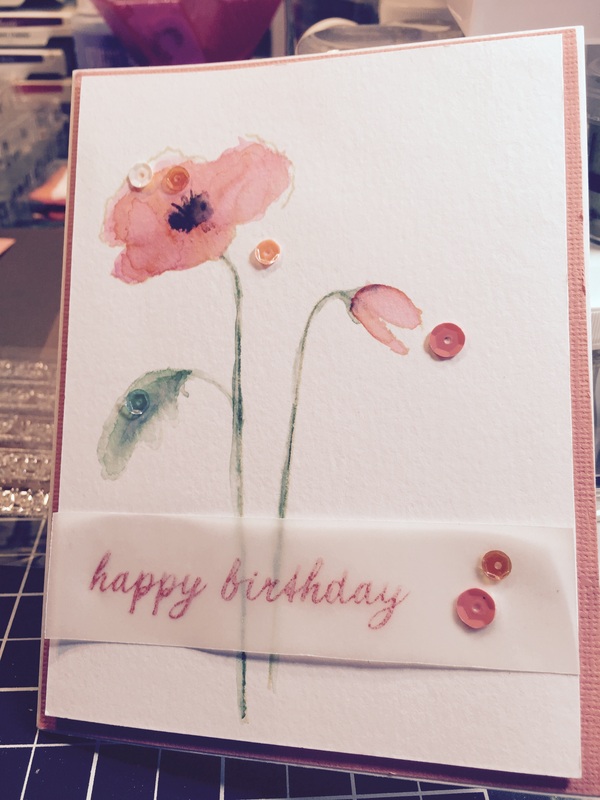 My heart reaches out to you.